Some time ago I embarked on a very special journey into the world of teaching Special Needs children. My original remit was that of a student on a six-week placement at a Special Needs School in the district of Nottinghamshire where I live. My working role was as a Teaching Assistant, aiding the children with their learning whilst carrying out my research. Hearing that I was slightly ‘sporty’, the Deputy Head volunteered me as a helper in the Physical Education class, which would happen every Wednesday afternoon. To my relief, I learned on that very day that the school basketball season had just ended and that football season was about to begin! I got changed over the lunch break and having donned a rather snazzy Italia Azzurri jersey, acquired on a Roman holiday, headed for the nice gym hall that the little school proudly owned. The children filed in and got changed excitedly, chattering away, with only one young boy dissenting for a game of basketball instead. We had enough for two teams of five children each, girls and boys, but before choosing sides, like all dedicated footballers, we did our warm-up routine. To my relief the footballs were finally produced and we paired off to practice our skills of trapping and passing the football – an essential part of any footballers armoury as we all know. My training partner was an extremely hyperactive young boy of about 10 years who was greatly out to impress. Firstly, he guided my eyes down to his flamboyant footwear – his feet boasted bright, cherry-red trainers. He then showed me what areas of the shoe he would use to curl the ball and also unleash his ‘powerblasters’. We gathered in a circle for a group passing game. Though being an amateur footballer for many years in the past, I had not been near a football for a little while, save for a kick around on a beach here and there. I thus decided to make the first touch a telling one and, ah well what can I say but the old magic was still there. (Some relief here when I managed to deftly control the football first time, flip it up and pass it on). There were a few gasps from the children as ‘sir’ had obviously played before at some time they quickly computed. After our stretches and a little jogging around the gym we were down to business. In the time-honoured fashion, teams were duly selected. In spite of displaying a little bit of old-fashioned Scottish ‘tanner-ba’ play in the warm up, I was roundly selected last – just behind a 12 year-old girl with learning difficulties. Well I was still still an unknown quantity right? The game duly kicked off. Oh, did I mention that we had nominated names for our teams? Ours was called, ‘The Venomous Blades’… Our formation cohesively fell into its natural classic formation of 0-4-0, sliding fluently into a 0-0-4 and on one occasion a 0-0-2 when our defense disappeared momentarily behind the gym curtains for a little contemplation on life. Our midfield engine room, consisting of a very affectionate young Downs Syndrome girl and myself played in close harmony, taking a firm grip in the middle of the park. A really firm grip actually as my midfield partner insisted she held my hand whilst we played. What a midfield duo we were that memorable Wednesday afternoon. Play ebbed and flowed in a typical battling cup-tie fashion until the first flare-up between the teams occurred. The opposition left wing-back drew his leg back in order to make a hefty clearance up the line and struck the ball fair and square in the smack between the legs of the Venomous Blades’ star striker. There were tears. Tears like you’ve never seen on the field of play before, (excepting curious man-child Gascoigne playing for England of course). Resisting the strong temptation to offer the age-old advice of ‘don’t count ’em, rub ’em’ we then witnessed the said young striking star eventually gain his equilibrium and storm back into the action in a fit of barely controlled frenzy. In the meantime all hell had broken loose. The like of which our referee, a nice American lady member of staff, would have needed six pairs of arms to sort out the transgressors. In the melee that ensued ‘Powerblaster’ boy had swiped the opposition sweeper for daring to laugh at the hapless state of The Venomous Blades spearhead. In fairness ‘Powerblaster’ did offer himself up as prime material for an early bath, which he was duly requested to take. For the statisticians out there, the game ended at one goal each. A fair result all in all with both sides taking a home point as it were. More worrying were the disciplinary issues after the three separate fights that broke out over the game’s duration. I mentioned this to a fellow staff member only to be told that it had been a ‘great afternoon – much quieter than usual!’ Oh yes I almost forgot…another skirmish that almost carried the violent tendency of the game into the changing room. That will teach me to take my eye off the ball whilst handing the star striker with the numbed testicles his Goofy watch back from safekeeping. Now all this was much fun and very amusing at the time, please accept my word if by some chance I have not illustrated the humour adequately here. There is a more serious side as to why I write this account however. I wanted to talk about this beautiful game that we all share a love for and illustrate the pleasure it can give to all. My young students had a fabulous afternoon; it brought fun, enthusiasm, competition and many other factors into their lives that Wednesday afternoon. Surely that is what this game is still all about? Does anyone still share this belief of mine? In these days of contracts, football agents, ground shares, boards of directors and Bosman contracts the game is still basically the same as when I spent hours in the back yard bang, bang, banging a little ball against the wall and trapping it. The days at school playing twenty-a-side with a tennis ball in the schoolyard. I try never to forget that. This week I had the most poignant reminder with these very special young people. They were a joy to watch and indeed took me back to my own childhood when football was everything and Denis Law was The King. 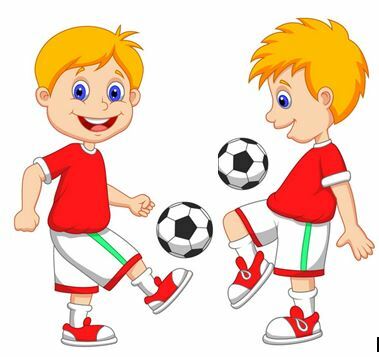 If those little children can still understand the same simple pleasures – the joy of football, then why can’t we? Since that time I have tried to remember this. It’s still a game, a very beautiful game at its best. We should attempt to keep the joy in it, just like those children.